The two-eighths of 1 percent Gross Receipts Tax increases passed in May by the Eddy County Commission have been voted down by county residents. The board of commissioners approved the sales tax hikes at a contentious meeting May 23 in Carlsbad, citing continued budget shortfalls as the area recovers from the downturn in the oil and gas industry. 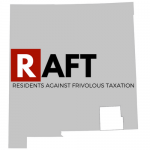 In response, opposed residents formed an organization dubbed Residents Against Frivolous Taxes (RAFT), which began circulating petitions to force the matter to a vote. After earning enough signatures to require a referendum, the county conducted the election this month by mail-only ballot. The commission had earmarked the first one-eighth increase for the Eddy County Detention Center to aid with operational and maintenance costs, construction, landscaping, prisoner transportation, and other needs. The second one-eighth was to benefit the general fund. Official referendum results received today from the Eddy County Clerk’s Office show the first increase was voted down 5,745 to 1,262 and the second by a slightly wider margin of 5,895 to 1,141. Commissioner Jon Henry of Artesia was the lone dissenting vote against both ordinances in May, stating he did not believe the county had done enough to inform citizens of precisely why the funds were needed and how they would be used. Commissioner James Walterscheid of Loving added his “nay” to the increase tabbed for the general fund, saying that with the use of those monies at the county’s discretion, more details on how they would be utilized would be of benefit to residents. Commission Chairman Stella Davis of Carlsbad and Commissioners Susan Crockett of Carlsbad and Larry Wood of Artesia maintained the county had been and would continue to be transparent regarding their intentions for the funds and that additional public hearings on the subject would be a waste of time and resources, as those opposed to the increases weren’t likely to be swayed. Among those was Artesia Mayor Phillip Burch. 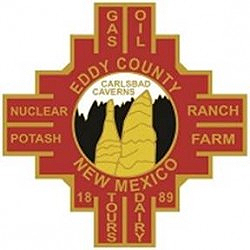 Burch stated on multiple occasions the county had failed to be specific enough regarding the funds’ intended uses and questioned why the additional money was needed in the face of a previous one-eighth increase enacted in 2015 and the ongoing recovery of the oil and gas industry, which, in turn, has begun slowly increasing the amounts area entities are seeing on their state GRT payments. Burch and a number of local businesspeople also stated the jump Artesia would experience in its sales tax rate – from 7.8125 to 8.1458 by Jan. 1, 2018, had the taxes passed – would hurt business in the county and serve as a deterrent for new enterprise. The commission has said that without the revenues from the tax increases, it would be forced to make cuts elsewhere in order to balance its budget, including – potentially – to services offered to county residents.